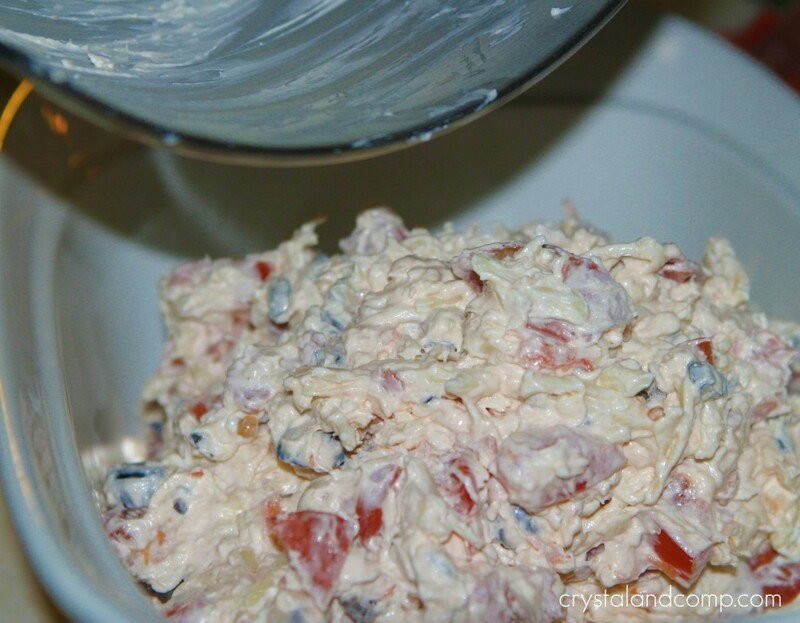 Want a yummy and easy dip you can take to your next family gathering or make for an event you’re hosting? This dip is super simple and is even great as an afternoon snack. This would also make an excellent appetizer to take to an upcoming Super Bowl party. Take all of your ingredients and place them in a large mixing bowl. I used my standing KitchenAid mixer on a low speed to mix everything together. You can do it by hand if you like as well. When it is mixed together well, it will look like this. 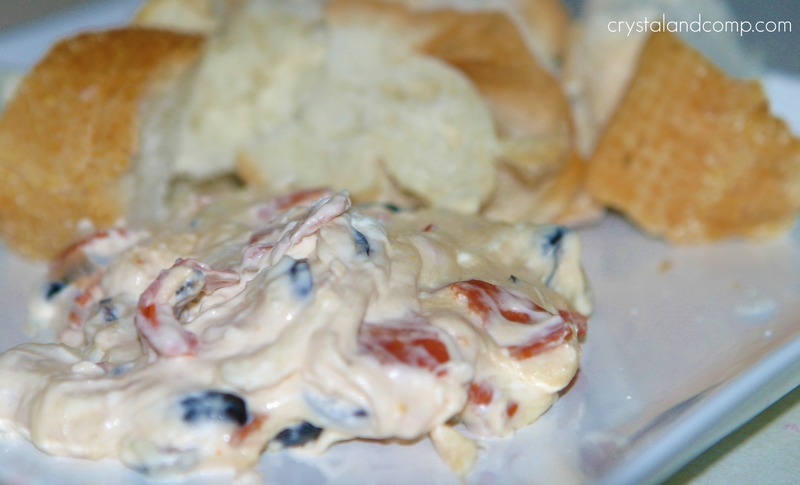 Once everything is well combined, spread the dip evenly into a large casserole or baking dish. Pop it in a 350 degree oven for 30 minutes. While the dip is baking, take the loaf of french bread and dice it into cubes and place the cubes on a platter or in a large bowl. Once the dip is done it will have a golden tint to it. Remove it from the oven. I like to serve this on individual plates for everyone. 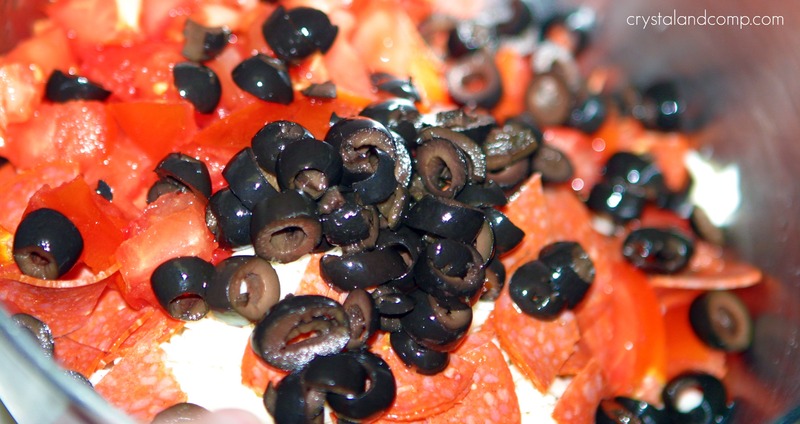 Dip the individual bread cubes in the pizza dip and enjoy. I got this recipe from my friend Kelli’s site over at 3 Boys and a dog. She has a ton of kid friendly recipes. Check them out. And don’t forget you can find lots of easy recipes here on my site as well. Take all of your ingredients and place them in a large mixing bowl. I used my standup Kitchen Aide mixer on a low speed to mix everything together. You can do it by hand if you like as well. I like to serve this on individual plates for everyone. 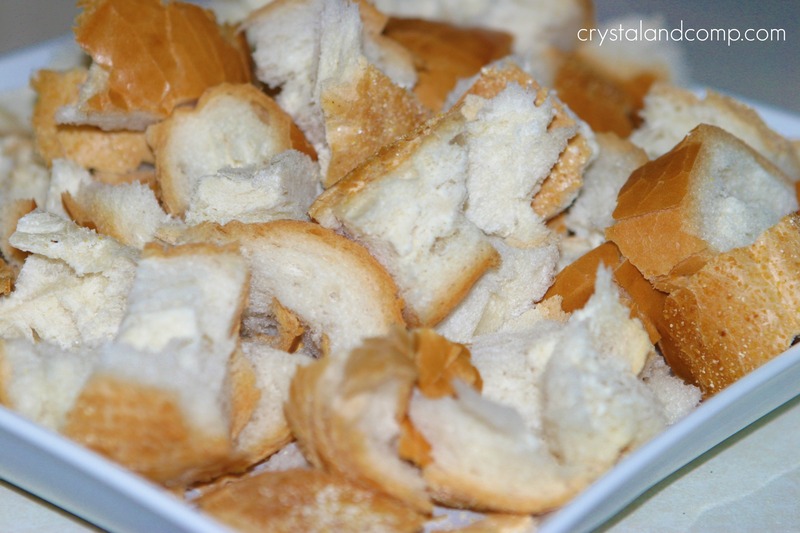 Dip the individual bread cubes in the pizza dip and enjoy. I would never serve something that so closely resembles vomit. This is the find of stuff that gives “mommy bloggers” a bad name. Too bad you didn’t put your link on here so we could be just as rude to you. 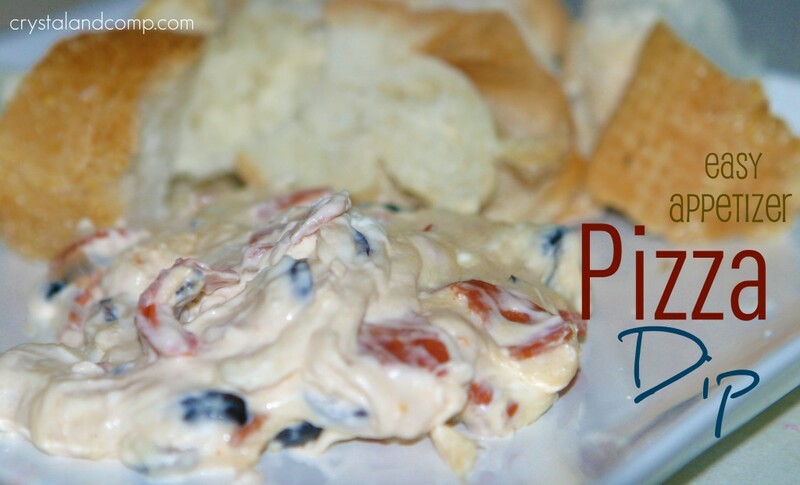 This pizza dip is AMAZINGLY good! How does posting a recipe that her family loves giving a “mommy blogger” a bad name?? Kelli recently posted..Mens Fitness Magazine only $4.29 per year! I would be interested to know your thoughts on bean dip. I find it yummy but I suppose some might think it looks like something more repulsive. Maybe it is a mindset? Resembles vomit? You are what gives mommy bloggers a bad name. Crystal shared what I think looks delicious. Holy moly that looks amazing and simple. Thanks for sharing! Wow! I can’t wait to try this! Sounds and looks fabulous! I think it would be perfect for the Super Bowl party this weekend!! Your dip looks amazing! 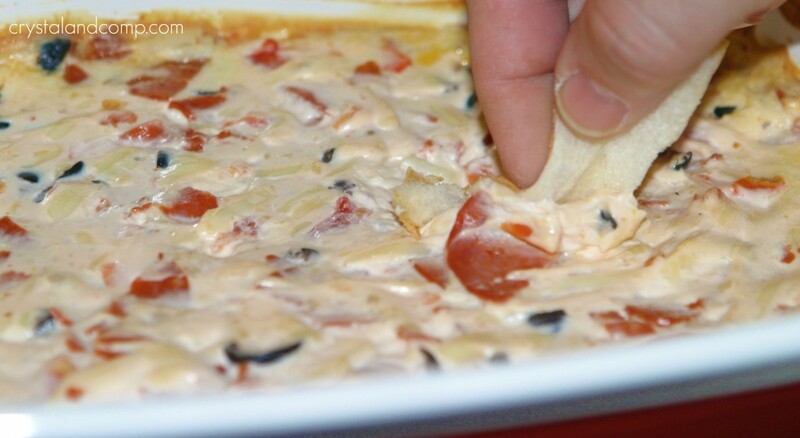 Who doesn’t like a dip that tastes like pizza! You are right about it being perfect for a Super Bowl party, and I would love if you would drop by and link up to my Super Bowl Eats and Treats Party! Looks yummy and so quick to make, gotta love that. Beth, it does come together very quickly. I made this Super Bowl Sunday and it was a HUGE hit!! so yummy! thanks for sharing!! 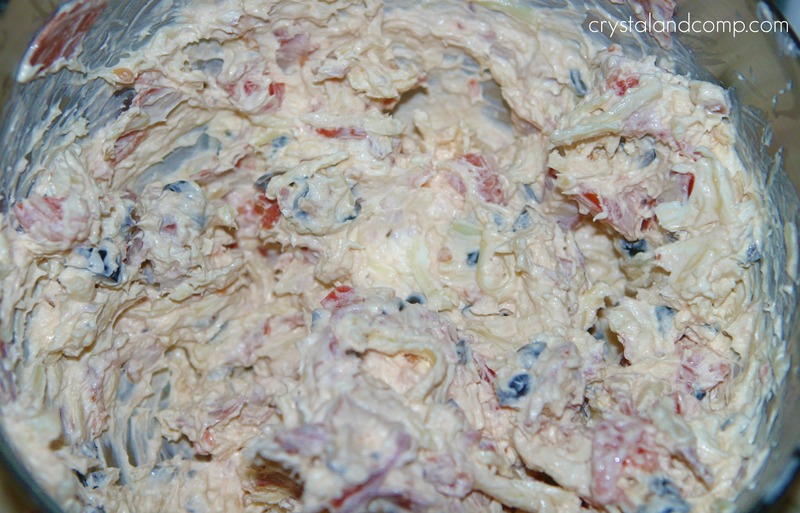 Don’t most dips look like vomit ? Andddd they are DELICIOUS !! Lol. I can’t wait to try this one! Very valid point! 🙂 Looking back I never should have approved her comment.